On 28 June’18, we went for an excursion to Mahabaleshawar .Firstly we visited Mapro where in we got the information about the processing, storage & supply of strawberry by products. They also manufacture chocolate, jams, beverages. Next, we went to Lingmala waterfall followed with scrumptious lunch. After this we visited Elephant point. Through this excursion I came to know all my batch mates. We all had fun clicking photographs, playing antakshari and dancing through whole trip. It was completely ice breaking session. The little drizzles accompanied by pleasant weather made the trip worth remembering. I look forward for more such excursions. 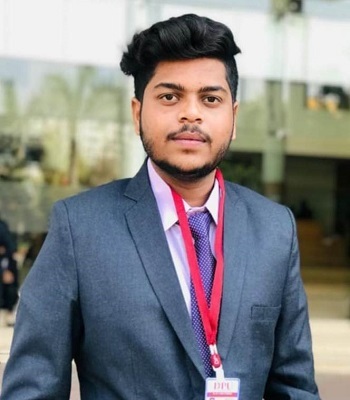 I am Kartikey Singh, student of marketing specialization, Batch 2018-20. 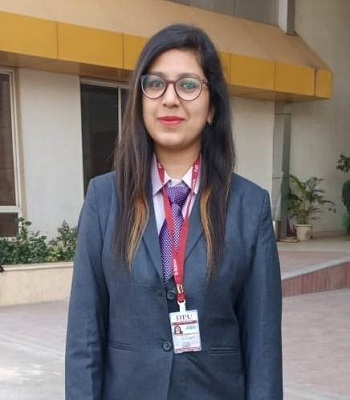 I have done live project as well as 1 month internship at pantaloons from 18th December 2018 to 18th January 2019, where I worked as a sales intern .I was working as sales intern. My role and responsibilities were to achieve sales target, maximize footfall in the store, sort and describe the offer to the customer, offer segregation and FLEA Marketing. I enhance my skills like convincing the customer and negotiation which, I studied in my academics. Internship helps us to know the real corporate culture and gain hands on experience. I got an exposure to the retail industry. 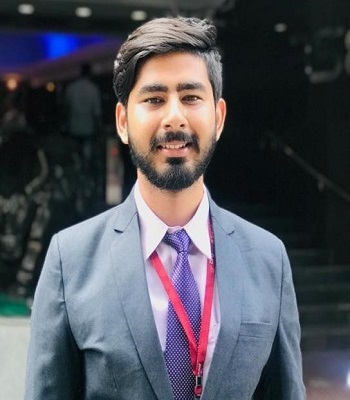 I, Pratik Tanwani, student of Finance in Dr. D. Y. Patil B-school of PGDM Batch 2018-20 successfully completed my internship with CRISIL. During the course of the internship, I obtained the opportunity to explore different financial statements & the analytical know how of the same. A daily analysis of about 70-80 financial reports including top blue chips company like Infosys, Tata Group, HDFC etc helped us a lot gain the Financial knowledge. I'm really thankful to the college to provide me the corporate experience and required industry exposure. Look forward to more such opportunities in the coming future. 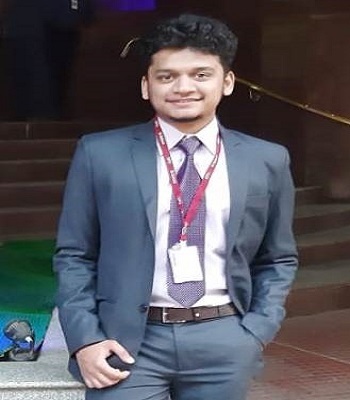 I, Akarshit Singh student of Dr. D.Y Patil B-School, Finance Batch, visited BSE on 12 March’2019. We were addressed by Mr. Rakesh Kumar, Corporate Trainer, and BSE. We were provided an introduction to the Indian Capital Markets. Students also learned about the history of BSE and its day to day working and the standard operating procedures through which it facilitates the voluminous trading transactions in the capital market. The BSE staff also apprised us about the certifications like NCFM and NISM and their importance to enhance one’s employability in Banking and Financial Services Industry. We were also told about the importance of various other technical certifications like Python, Algo-trading and other analytics certifications to get more in depth knowledge about the capital markets so that how we as finance graduate can get into BSE. The tour of the exchange was later followed by a Knowledge Session wherein students got to know the basics of De-mat account and Online Trading system, and had their queries solved. Thus the visit proved to be a great learning experience for us and we walked away with a much better understanding of how this engine of capital growth functions. I'm Bhagyoday Vibhute, student of marketing specialization. 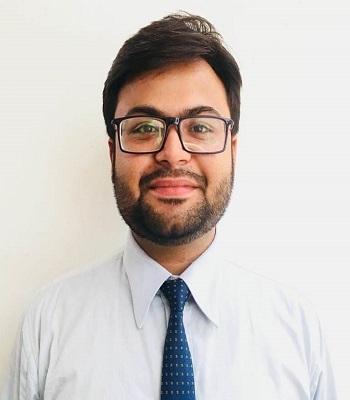 I have done live project as well as 45 days internship in Bajaj Finserve from 10 Oct 2018 to 25 Nov 2018, where I worked as a sales intern. I was in the process of direct selling, were I had to convince the potential buyers to finance the purchase rather than making cash payment. Through this internship I learnt how to build relationship with customer and understand their requirements. I enhanced my skills like convincing the customers and negotiation which I studied in my academics. Internships help us to know the real corporate culture and gain hands on experience. 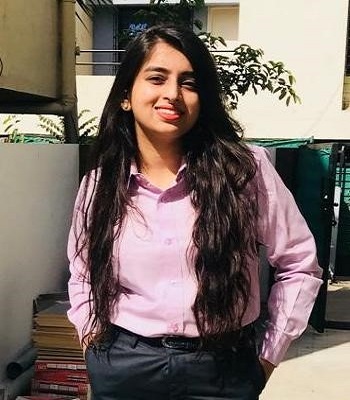 Hello I am Mukta Kaushik from PGDM batch 18-20.I have recently completed my internship with Capgemini which is a global leader in consulting, technology services & digital transformation. It provided a very good platform and exposure to upcoming talent in field of HR. It was a whole new experience for me as I get to learn end to end recruitment process and also the understanding to corporate and its expectations from academia. Overall it was a very good experience. 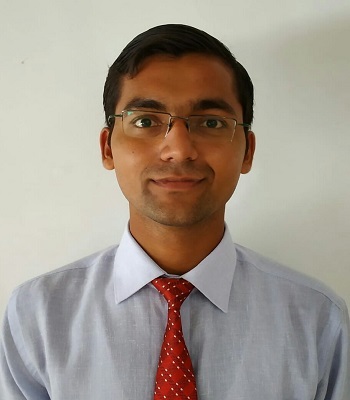 I am currently working as an intern in Definitics Software Solutions.The profile is of a research analyst. The product that we are working on is Roadbounce, which measures the road and ride quality. Our team has two responsibilities in the organisation, business development and data analytics. From business development point of view, we conducted the research about the different highway departments and companies around the world to whom our product roadbounce might be valuable and pitched our app to them. 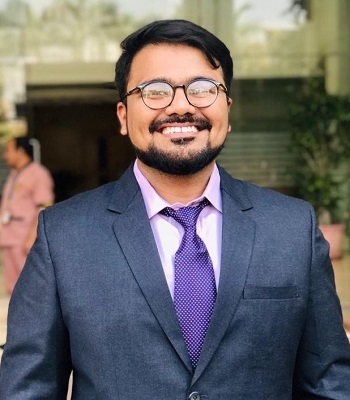 On the analytics front, we are heading for predictive analytics for our company's app, which would help in predicting the future of a particular road and preventing the accidents.Being my first exposure to the corporate work environment, the experience has been really insightful. Working as per the deadlines and targets, maintaining the composure during tense situations and the joy of getting results out of my inputs have been some of the most memorable experiences in this journey. The challenge of managing the classes and internship have made me stronger and more resilient. I look forward to carry these learnings further into my personal and professional life and keep becoming better. Dalal Stock Exchange Investment Journal came to our college to conduct Stock Market Challenge competition on 30th September’2019. We attended the one day workshop conducted by Dalal Investment which was followed with 1 week challenge. It was an online trading application. We were allotted 10 lakhs individually. We were given a challenge of creating best portfolio within 7 days. We virtually did the trading with BSE. We learnt Intra-Trading. Short selling, stop loss and long term investment. We eventually leant how the Capital Market Works. Such kind of competitions exposes us to practical learning’s and develops our technical skills. 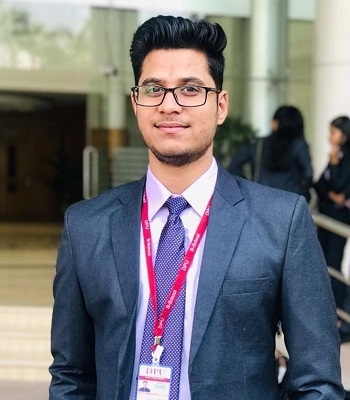 I Parth Mehta student of Dr. D.Y.Patil B-school Batch 2018-20 recently completed my internship with CRISIL which is a renowned rating company. I had a great experience of 3 months where I had a chance to explore the financial statements of 50-60 companies daily. Few of the renown companies are Reliance,Vedanta,indiabulls etc, and also about the fundamentals of the company. It was a very good practical exposure to the corporate. I am looking forward for more such opportunities in near future. 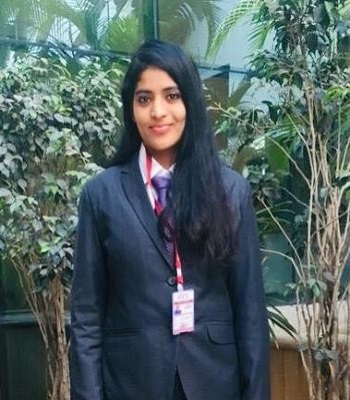 I, Rakshanda Ablankar, student of Batch 2018-20 went on an Industrial visit to Nashik on 25th March 2019 with all my batch mates. Firstly we visited PPF Exports where we learnt how the exports of grapes are done. They informed us each and every detail like the precautions to be taken, how the packaging is done and what certifications farmers and the exporters should acquire from APEDA. Then we visited Foods and inns where they processed guava and mango pulp for the companies like ITC, Coco Cola and Parle Agro. Here we learnt the process, precautions, packaging and storage required for production of pulp. The visit was a complete learning experience. 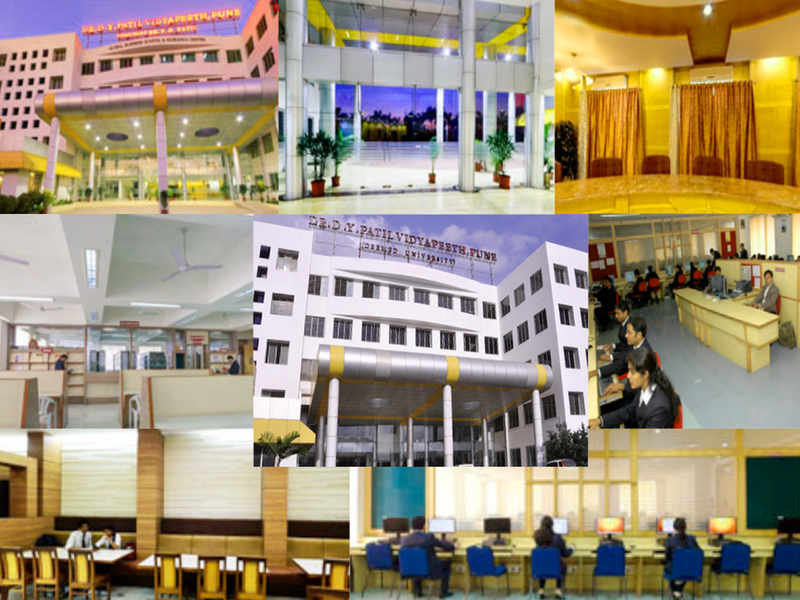 We hope Dr.D.Y.Patil B-School takes us on more such industrial visits for practical learning experience. I successfully completed my internship in Markets and Markets, for 2 months which was located in Magarpatta. 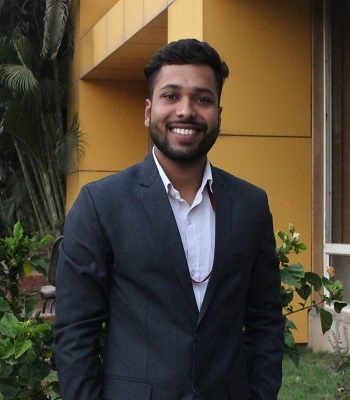 This internship gave me an opportunity to know the corporate culture. Markets and Markets have a very friendly and supportive culture. My profile in Markets and Markets was into Recruitment in HR department. Under the supervision of my mentors I was firstly sourcing profiles for different positions which also included first level screening and cold calling. I have also managed walk in drives and campus drive. It was indeed a very good experience and I got a great exposure of the industry. I am thankful to Dr.D Y Patil B-school and Markets and Markets for giving me this opportunity. I, Hunny Garg, student of finance specialization, Batch 2017-19. 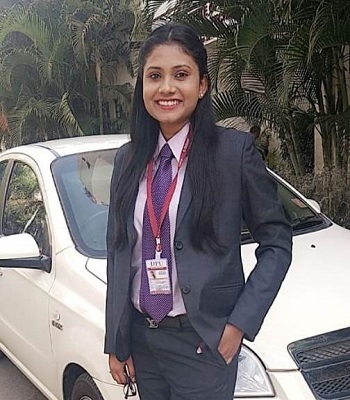 I did internship at CRISIL for 3 months from 12th December 2018 to 11th March 2019, where I worked as a financial analyst in many projects. I did quarterly data analysis of the company. I updated financial data in Finthesys ( a CRISIL software). I was associated with SBI project in which I made scorecard and bifurcate all the heads Profit and Loss A/c and Balance Sheet from notes to accounts. This project is totally related to the ‘Financial Modeling’ .This internship helped me a lot to enhance my skills in many fields like Excel, financial statement analysis, quarterly data analysis. 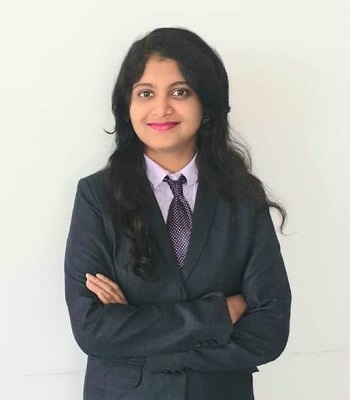 I am Varshita Jetwani from PGDM Batch 18-20. 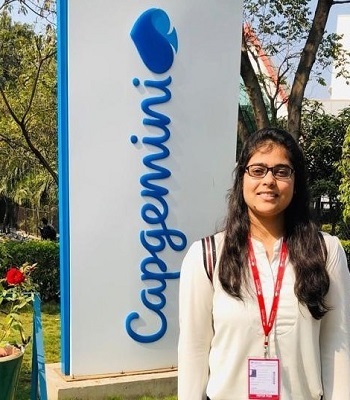 I had the opportunity to do Internship with Capgemini, which is a global leader in consulting, technology services & digital transformation. My experience as an intern covered a wide variety of different areas within Human Resource but my primary responsibilities were focused on recruitment and sourcing specifically. There were so many positive takeaways from my internship, I was able to further enhance my communication and critical thinking skills and it left me walking away with a clear sense of how to act and react in business environment effectively. I did 5 days internship at Kisan Agri Exhibition 2018 .I volunteered the exhibition as well as worked as Sales Executive with Opulent InfoTech. I did sale of agricultural device. With this exposure, I understood the current scenario of Agricultural Technology. I learnt skills like convincing the customers as well understanding customer needs. Internships help us to develop our personality. I got in touch with representatives of various stellar companies. My confidence is elevated and I look for more such opportunities for my development.